Andrew Scull has published a provocative tour of how Europeans have treated "madness" over the last two millenniums in an online blog post at THE PARIS REVIEW under the title, "Madness and Meaning." 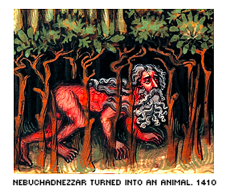 He illustrates his essay with a variety of fascinating figures, paintings, photographs, etc. Scull, who teaches at UC San Diego, has recently published his magnum opus, Madness in Civilization: A Cultural History of Insanity (Princeton University Press) and this essay reflects the general themes of his treatise. Paul J. Zak, Ph.D. pens an article entitled, "Why Inspiring Stories Make Us React: The Neuroscience of Narrative" in the February issue of Cerebrum from the Dana Foundation. Zak is the neuroscientist whose laboratory first identified the prosocial effects of the neurotransmitter oxytocin. In this extended popular review, Zak discusses his work and those of other labs about the ability of stories to elicit responses in the brain involving chemicals such as oxytocin, ACTH, and other. 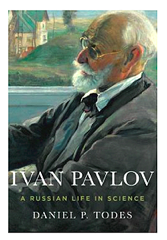 Here is the review by the eminent historian of the social sciences, Prof. Roger Smith, of Daniel P. Todes' 2014 biography, Ivan Pavlov: A Russian Life in Science (Oxford University Press). It appears on the Somatosphere.Net website. Smith opens his review by saying, "It is going to be difficult for reviewers to avoid clichés about this wonderful biography – and wonderful it is, as both a work of scholarship and as a highly readable story of a truly ‘Russian life in science’. Some basic things can be clearly stated: it is the first comprehensive and thoroughly researched biography of Pavlov in any language; and it is definitive, by which I mean that anyone who remarks on Pavlov in the future without assimilating this study simply has not done her or his homework….To my mind, a biography such as this exemplifies what humanistic research has to contribute to public discussion of the place of science in the modern world. Todes has made himself fully at home in the theoretical and experimental technicalities of Pavlov’s work throughout the sixty years in which he was a formidably active and forceful scientist. Biologists and historians alike can read this volume and feel their own special interests addressed. I read it from cover to cover with unalloyed pleasure." The remainder of the review is much more detailed and helpful. "Dorothy is one of the last survivors among roughly 2,000 psychiatrically ill veterans the Veterans Administration lobotomized in the 1940s and 1950s. 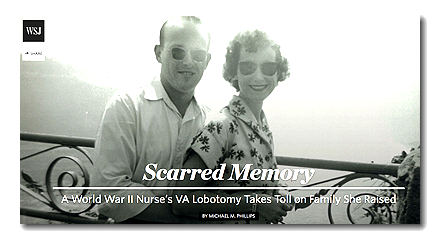 The Wall Street Journal in 2013 first detailed the VA lobotomy program and profiled the troubled life of World War II pilot Roman Tritz, 91, the only living lobotomized veteran the newspaper could locate at the time. Lawmakers then asked the VA to find other surviving lobotomized veterans. VA headquarters, which says its files on such old cases are archived and difficult to access, hadn’t found any other survivors when Dorothy’s family contacted the Journal." 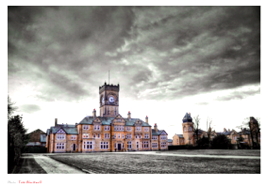 Committed: Stories About Stays in Psychiatric Facilities. A collection of four stories gathered on the Longreads blog site.